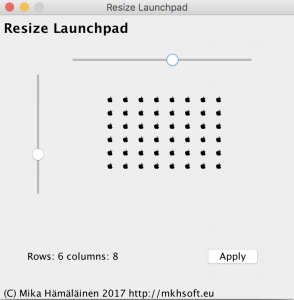 1) Download and run (you don't really have to install it) MKH soft Launchpad Resizer. If you have problems installing it, take a look at the tutorial to install applications outside of the Apple App Store. 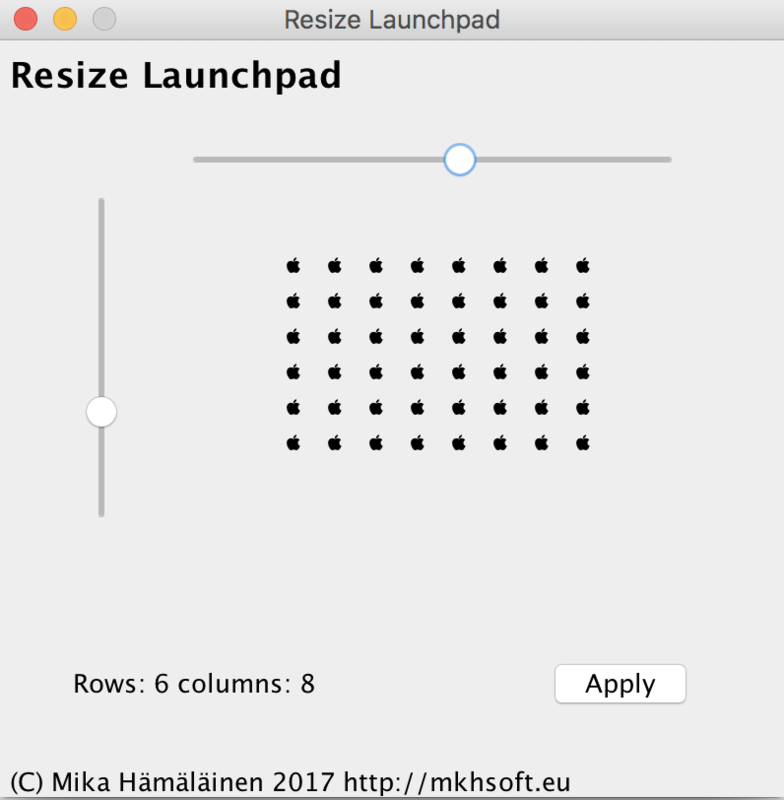 2) Adjust the number of rows and columns you want to be visible on the Launchpad by using the sliders. The number of Apple logos gives you an impression of how many icons will be shown. That's about it! 😊 If you are interested, you can take a look at my other apps on MKH soft website. Previous Post: Meaning and the brain. What are concepts? Next Post: Ingroups and outgroups. How we divide people in groups intuitively.